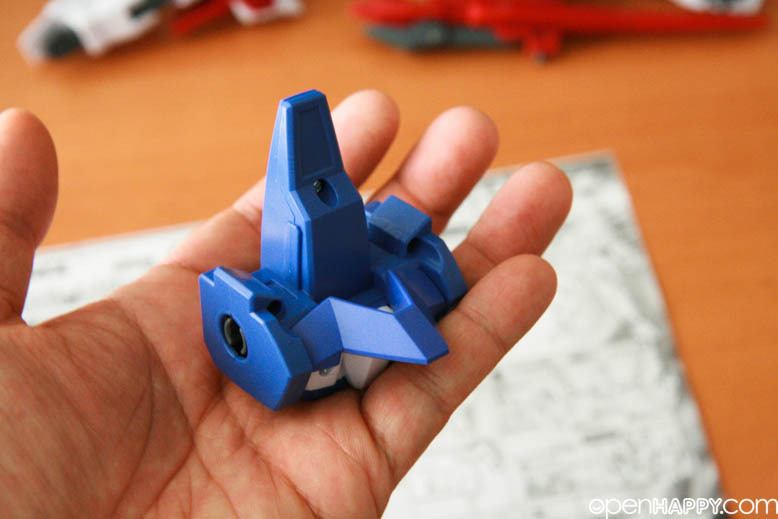 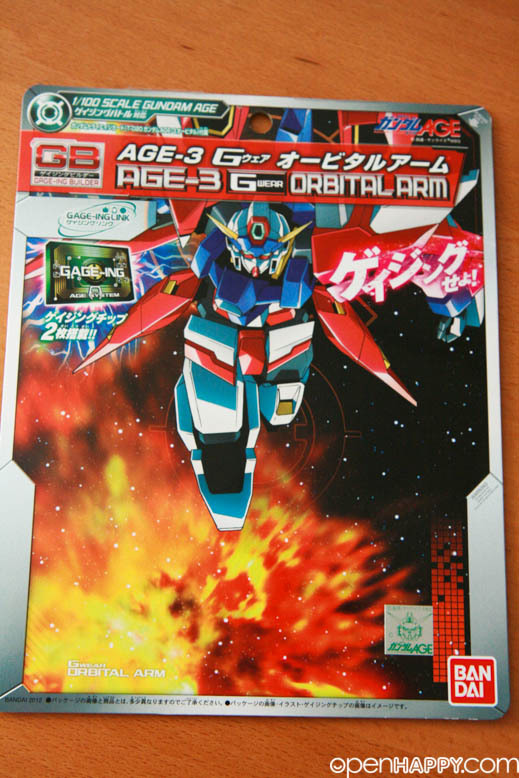 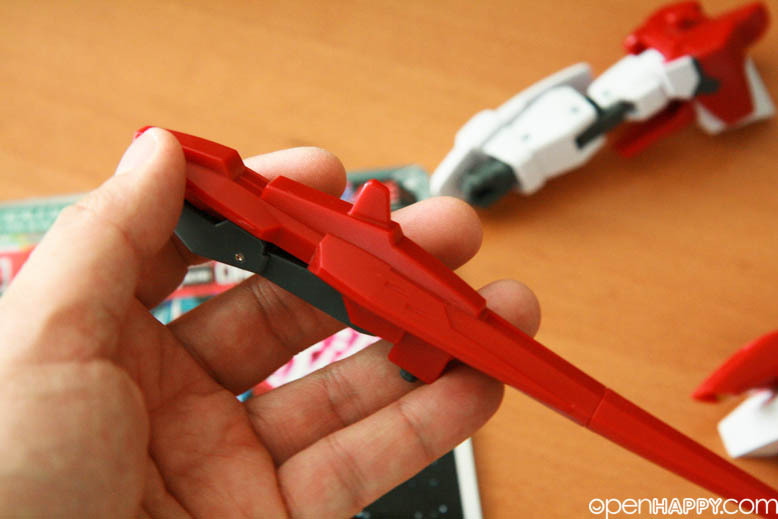 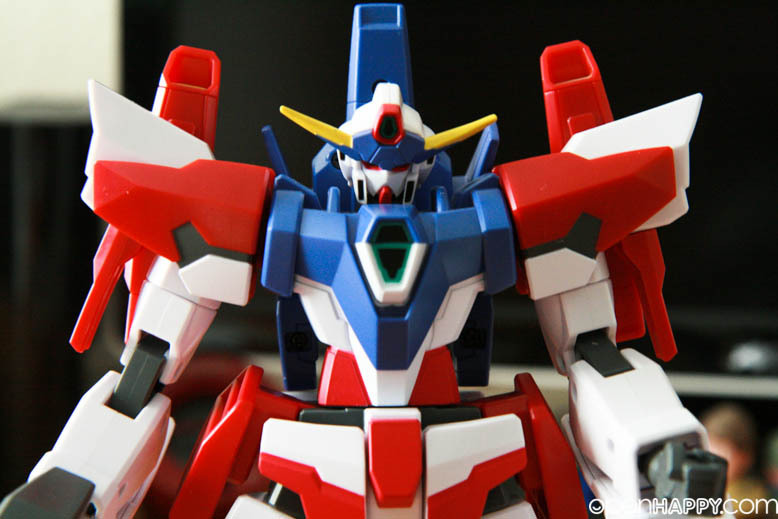 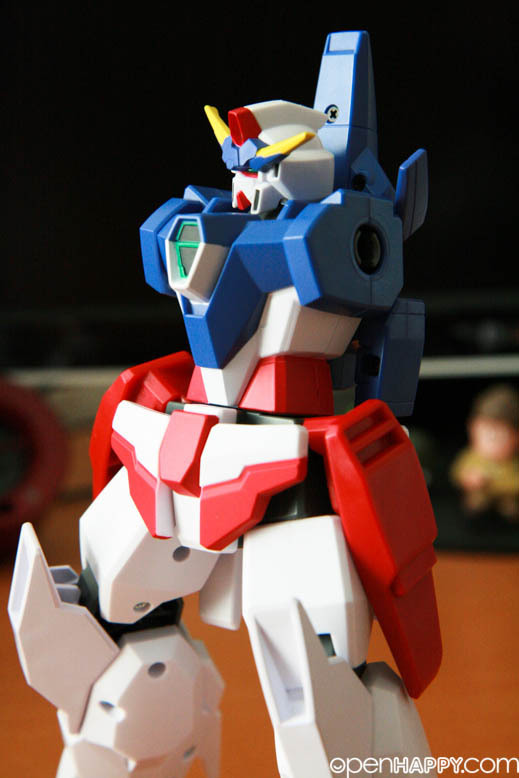 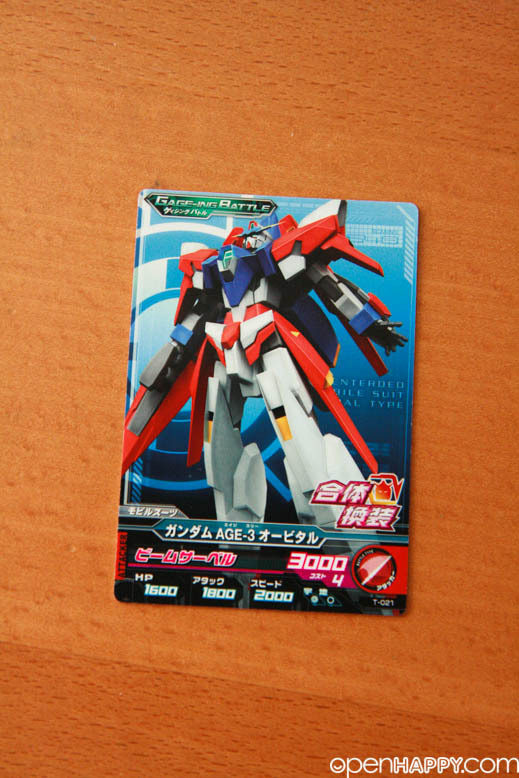 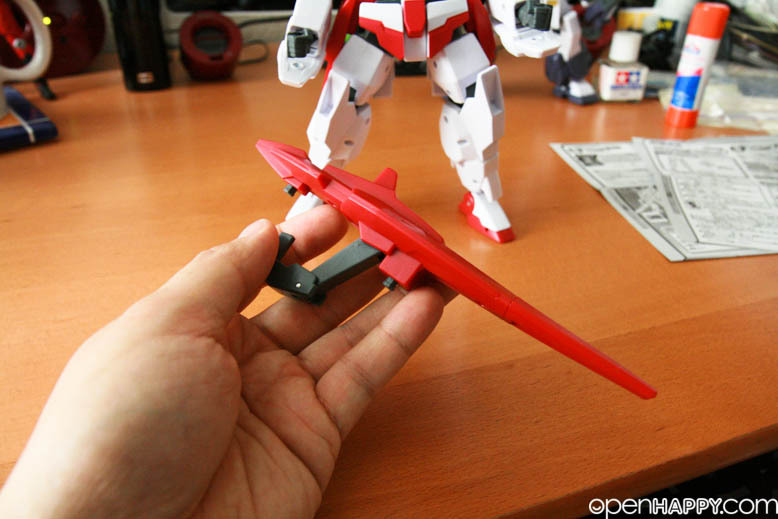 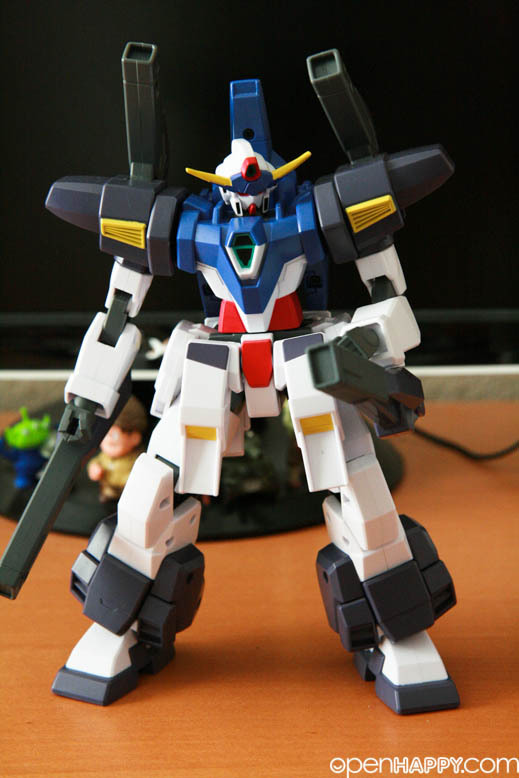 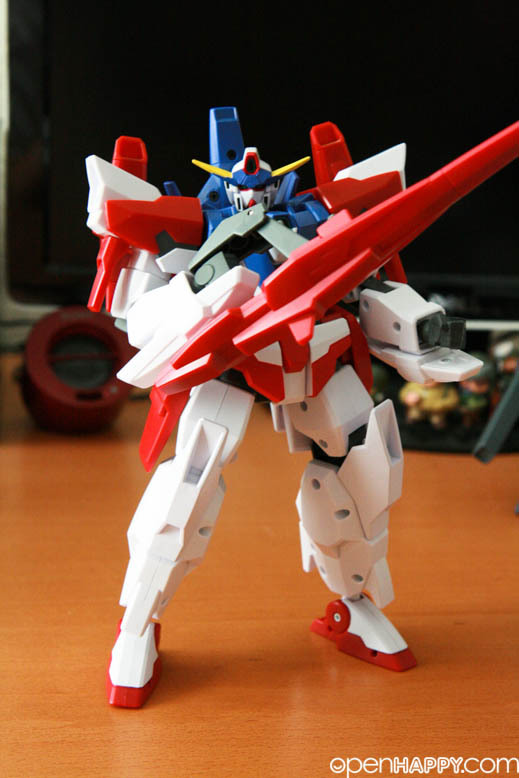 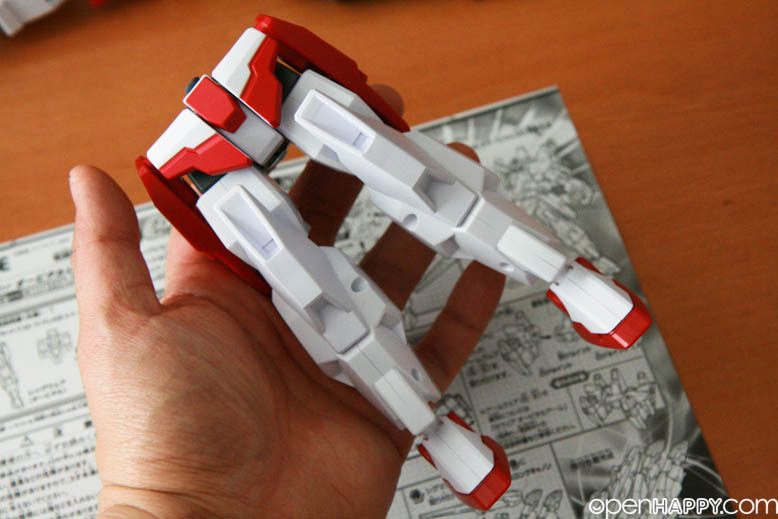 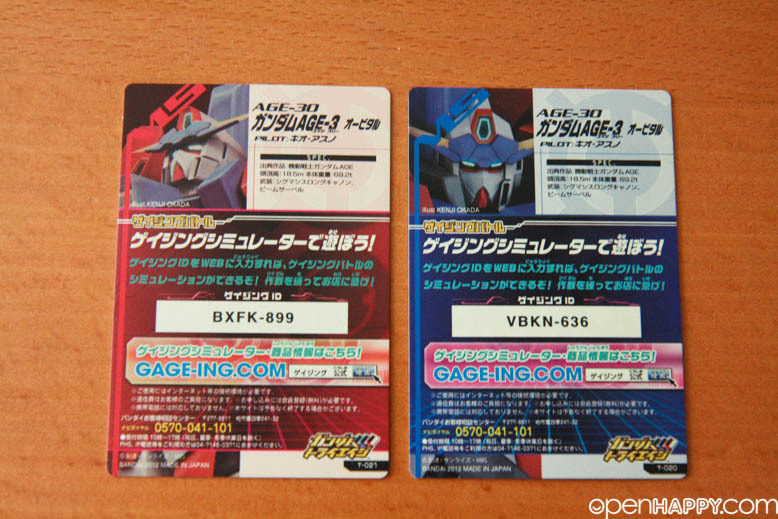 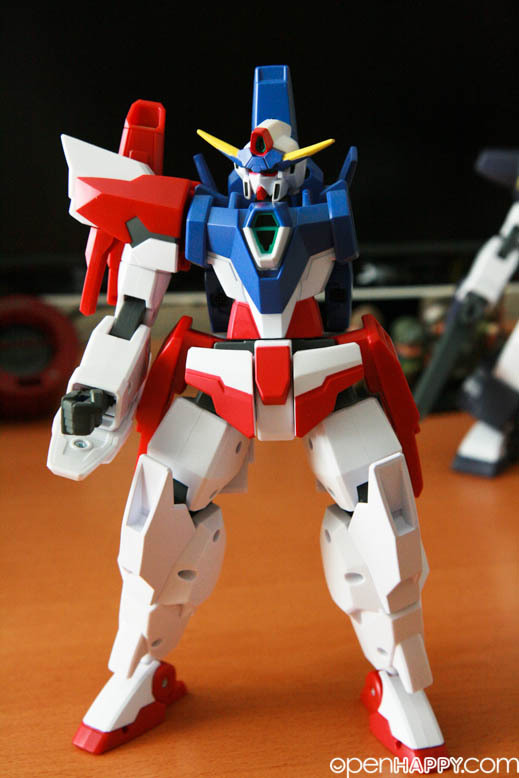 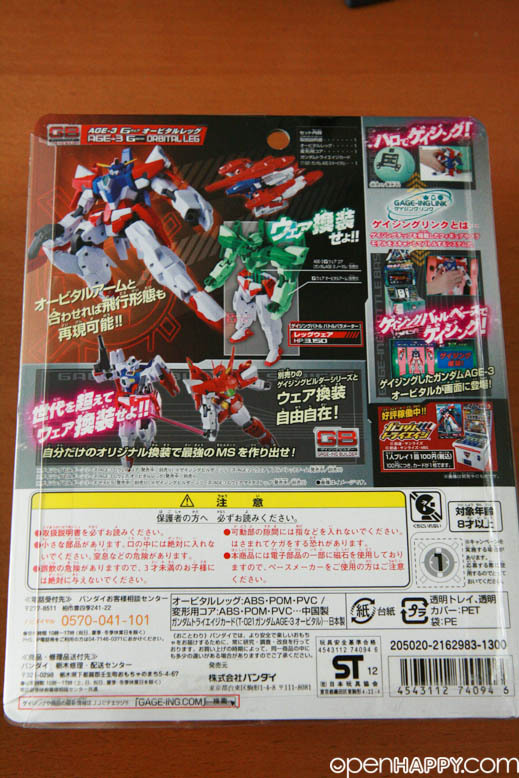 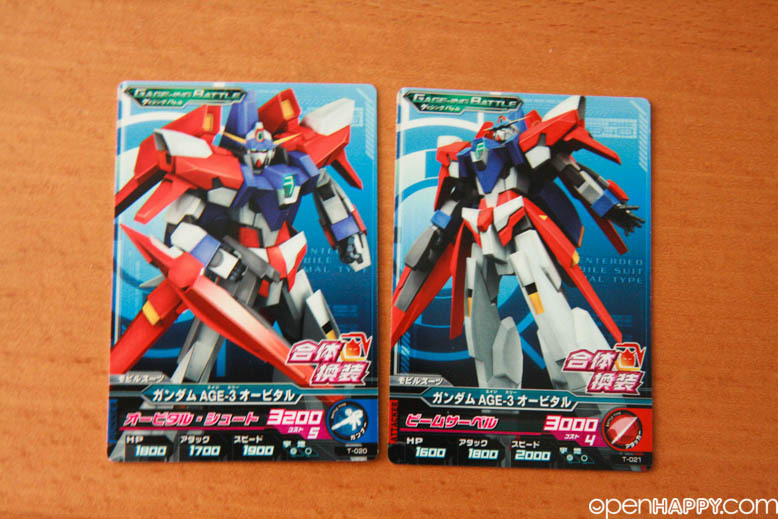 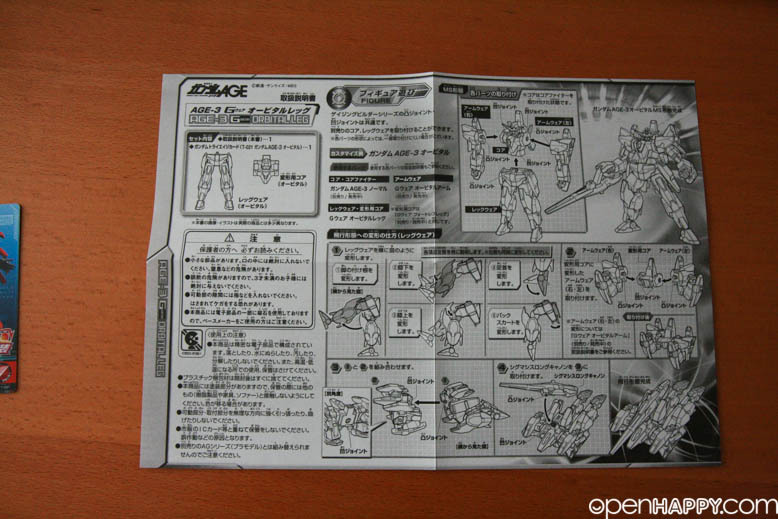 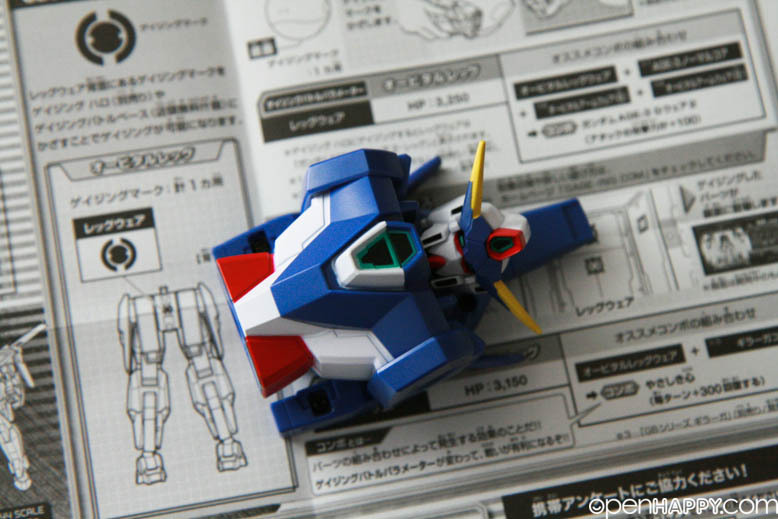 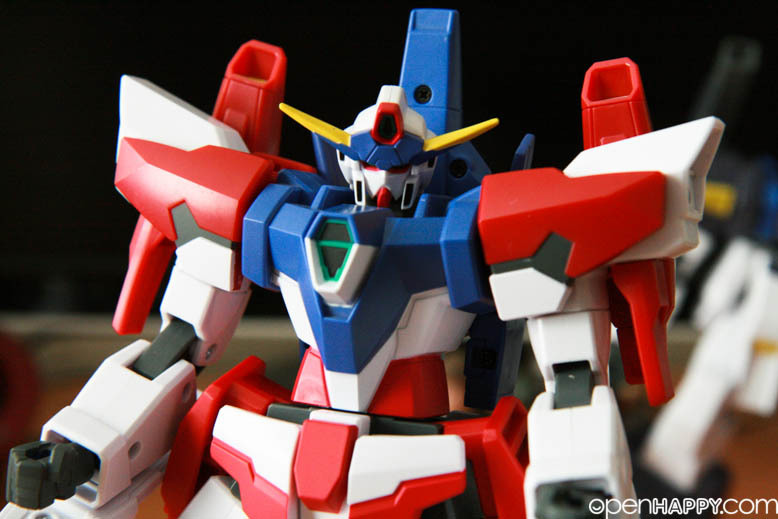 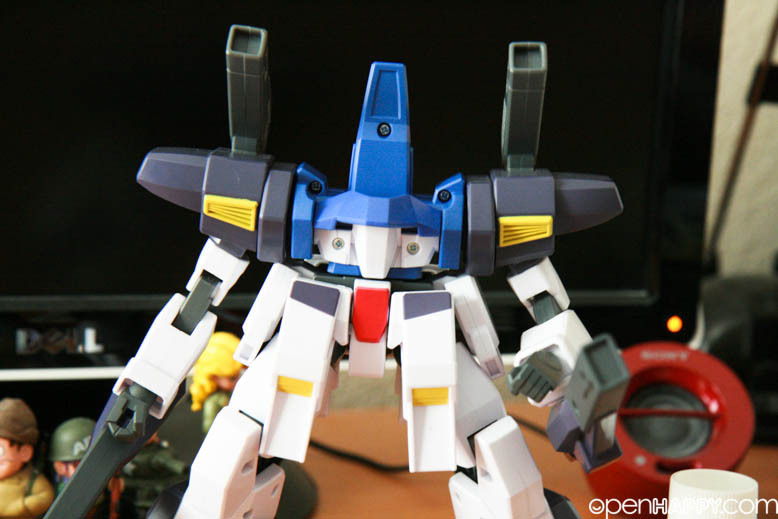 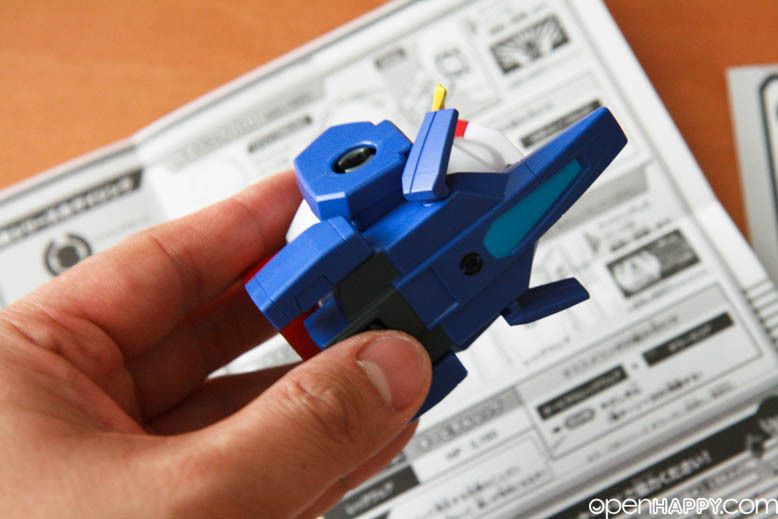 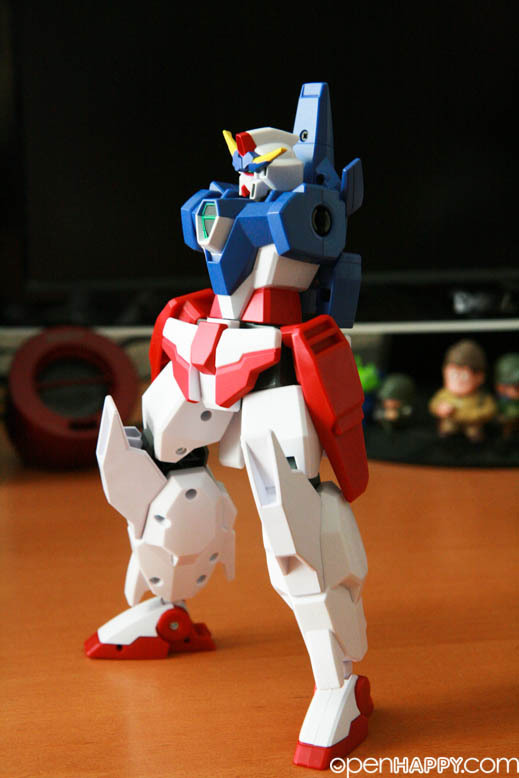 The Gundam AGE-3 Orbital is a wear of the Gundam AGE-3 that was designed for use in space. 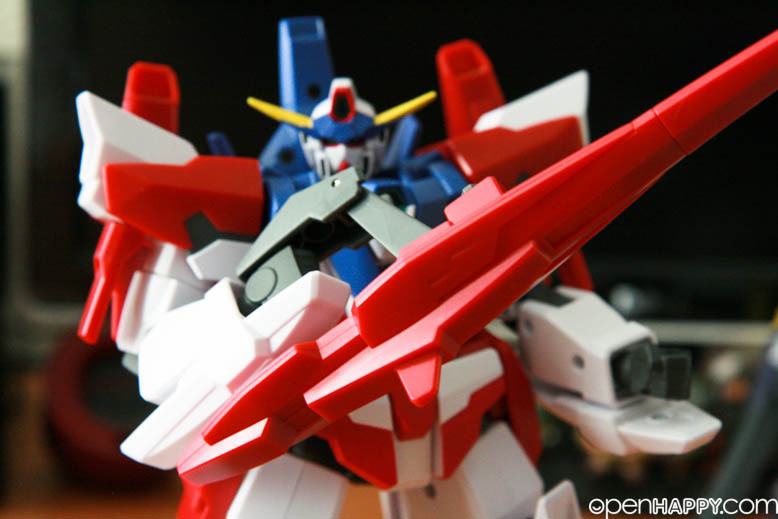 It can also serve as a flying configuration capable of aerial combat in the Earth's atmosphere as well as in space. 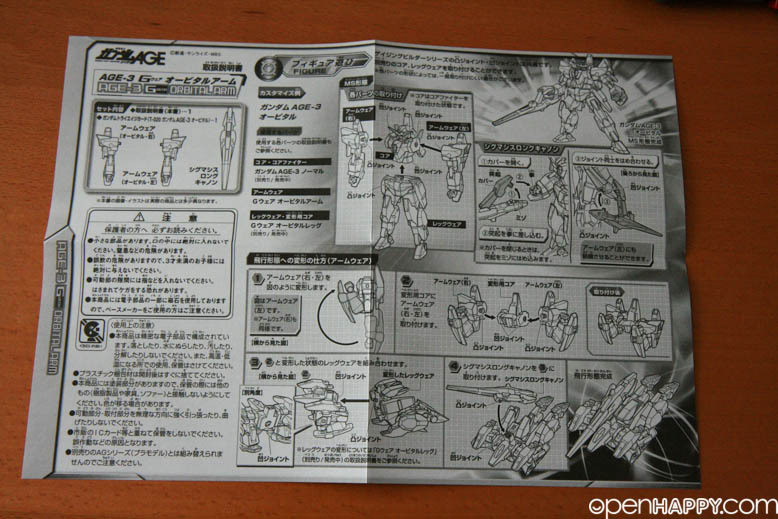 The AGE-3O Gundam AGE-3 Orbital is the high-mobility wear variation for the AGE-3 Gundam AGE-3 Normal in Kio Arc of Mobile Suit Gundam AGE. 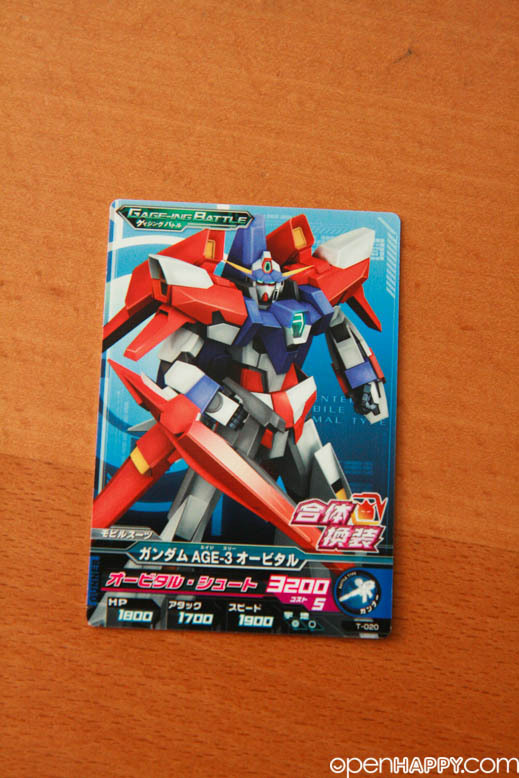 The unit is piloted by Kio Asuno. 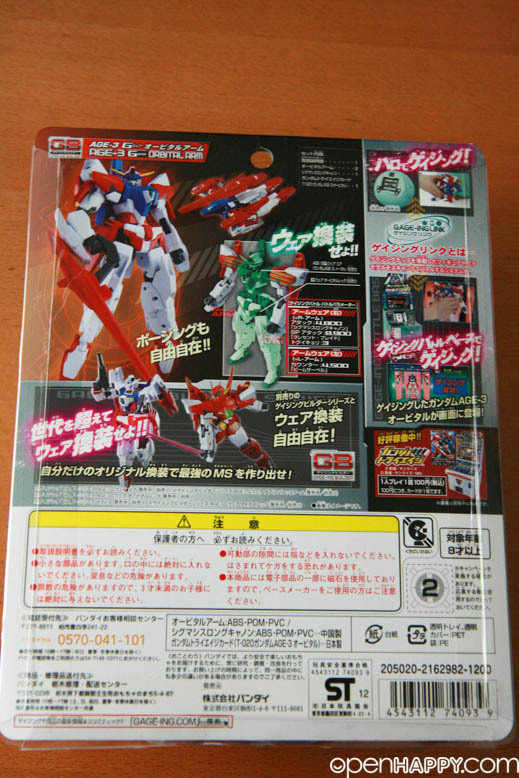 The suite design looks pretty good. 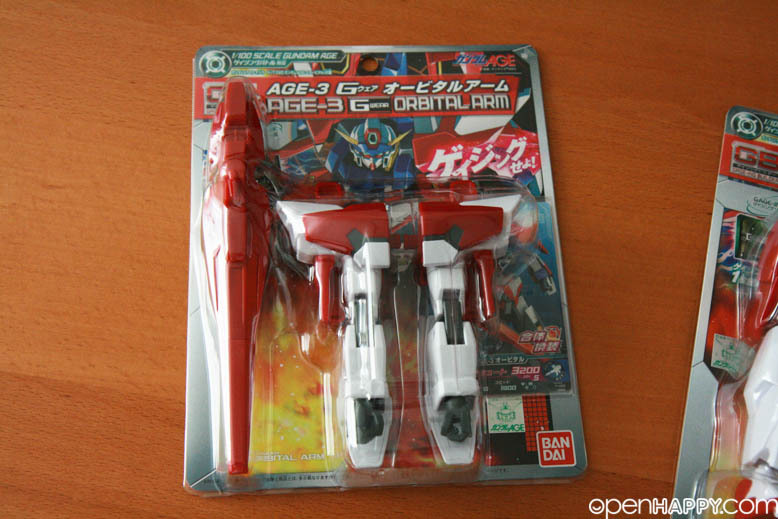 This one is the fortress age 3. 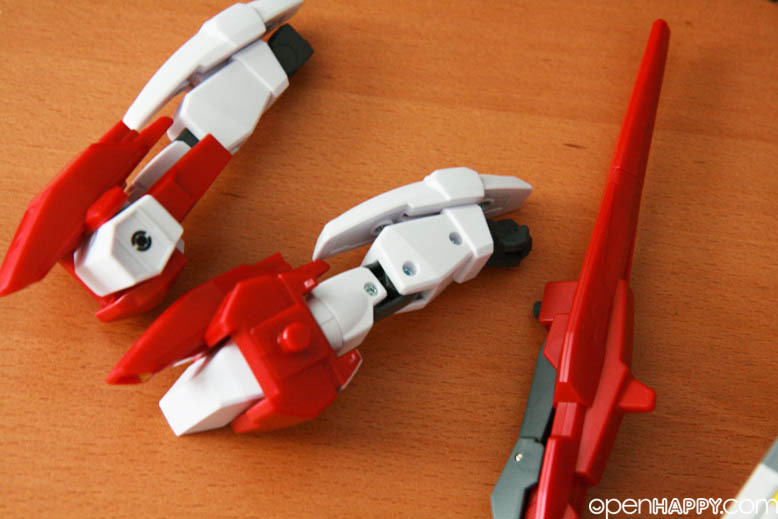 I will need the core to "wear" the orbital arms and legs. 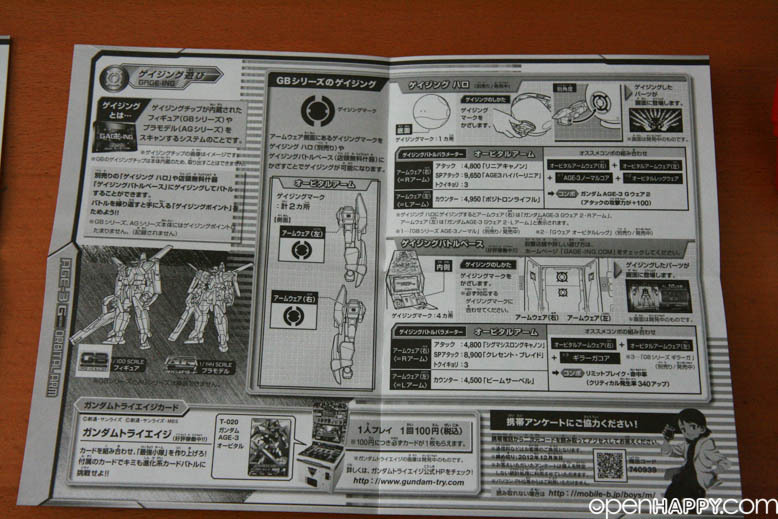 Here are the orbital parts. 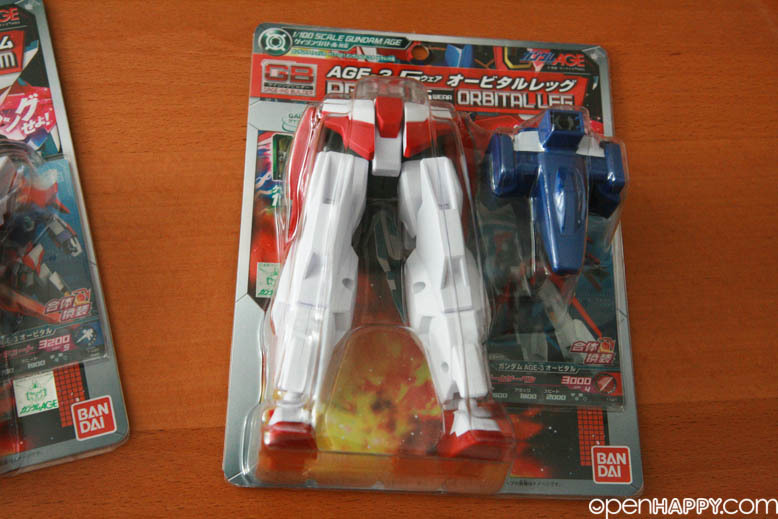 Both the legs and arms come with the game card. 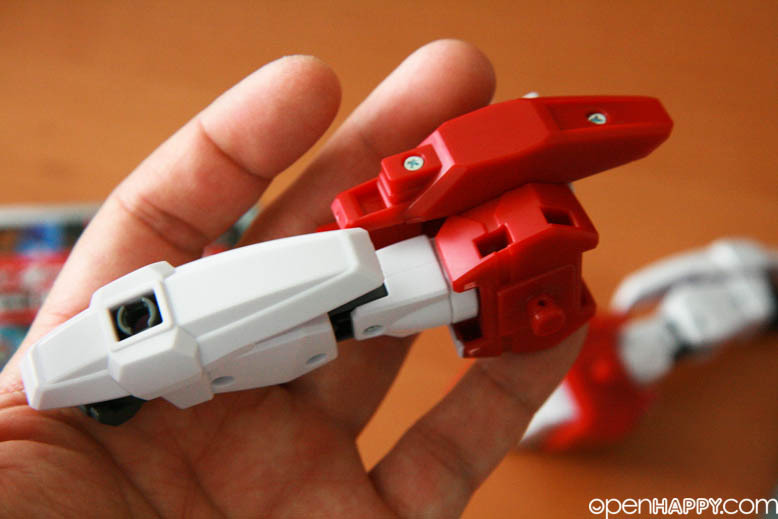 One of the parks comes with transform part to hold the arms and legs in flight mode. 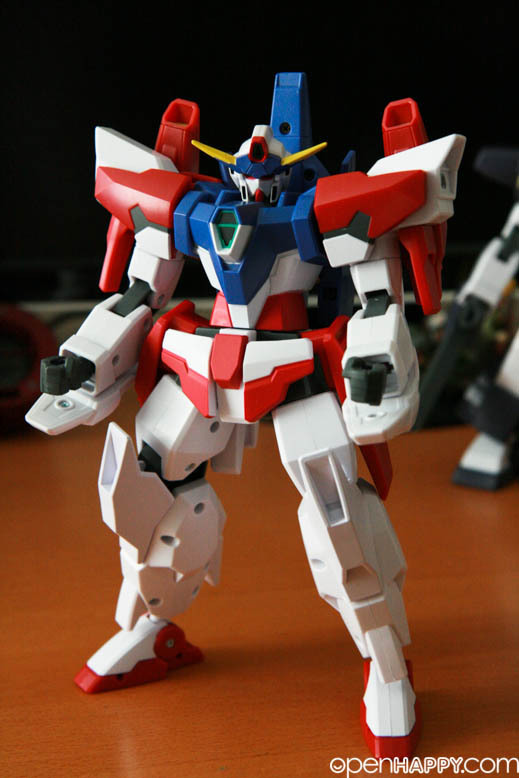 Pretty cool looking. 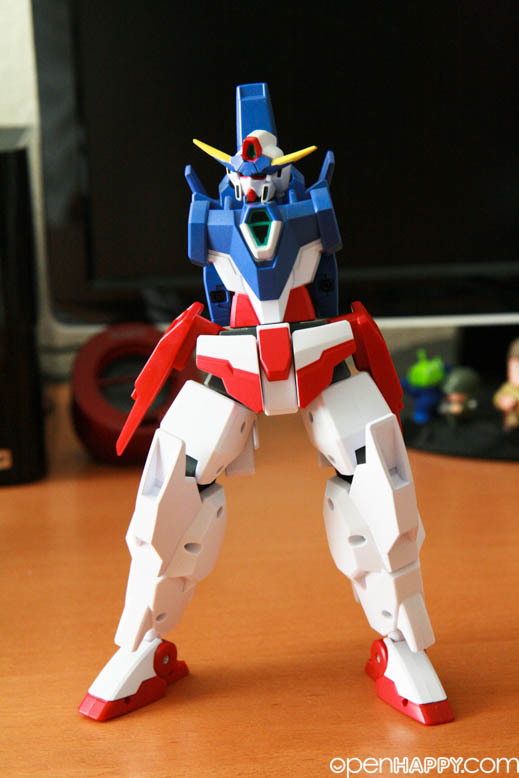 I wish they will produce a base to hold the gundam up in mid air.